Igler | Pearlman is a law office specializing in financial institution and corporate regulation, public and private securities offerings and compliance, mergers and acquisitions, corporate governance, and executive compensation and employment agreements. 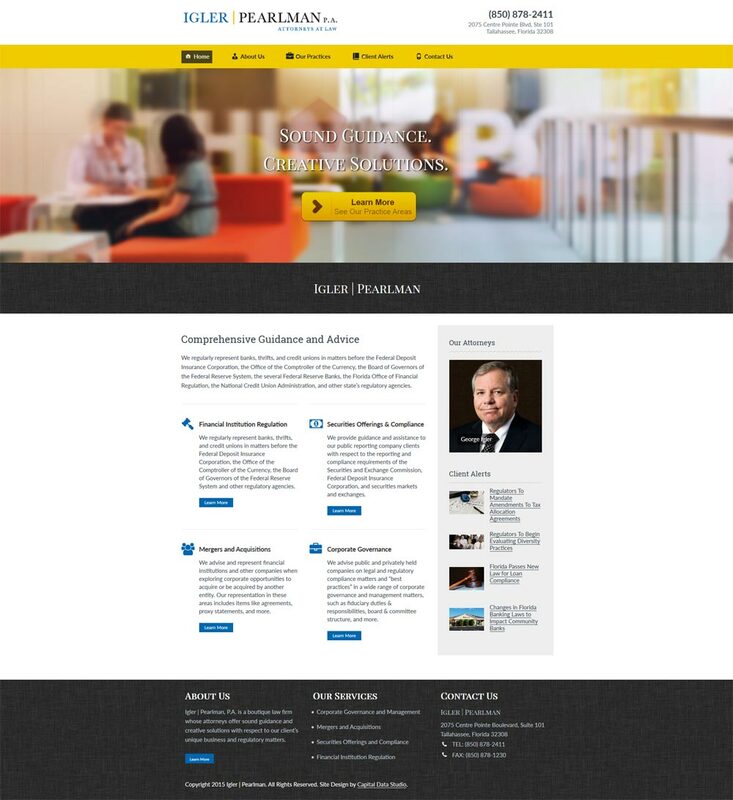 The firm wanted a brand new website that focused on their unique offerings while presenting a professional image. We created a clean and professional website with the client’s desired color scheme. We also incorporated custom post types in the dashboard so that they could edit their attorney profiles and service areas easily. A “Client Alerts” area was created to present relevant news items to the public. 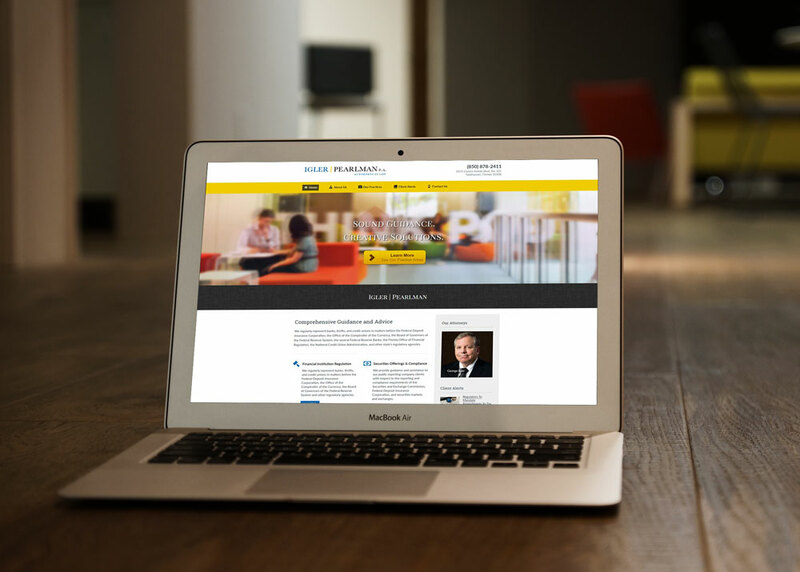 The site was created using responsive design standards so it looks great on all devices. When viewed on a smart-phone their contact phone number is prominently displayed for easy dialing. Custom plugins written in PHP/Jquery.